Dr. Maggi has a well-known expertise in neuromuscular disorders, including Congenital Myasthenic Syndromes. He is the referral consultant for muscle diseases at Fondazione I.R.C.C.S. 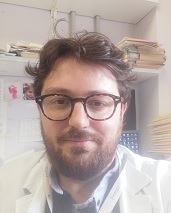 Istituto Neurologico Carlo Besta, contributing to clinical, diagnostic and research activities. Together with Prof. Carmelo Rodolico, he is the Coordinator of the Italian Network of the Congenital Myasthenic Syndromes. Dr. Maggi is author of several publication on neuromuscular junction disorders and myopathies. He has been local PI in several multicenter clinical trials and PI of two pharmacological clinical trials, on nondystrophic myotonias (RILUMEX) and on SMA III (SMA-001), respectively. He is currently local PI of an international clinical trial on Congenital Myasthenic Syndromes (CMS-001). CMS are rare and often misdiagnosed genetic disorders due to mutations in genes codifying for proteins involved in the neuromuscular junction structure and function, causing skeletal muscle weakness and fatigability. Clinical presentation is highly variable, ranging from mild symptoms to severe manifestations, sometimes with life-threatening respiratory episodes, especially in first decade of life. CMS should be always considered in the differential diagnosis of neuromuscular disorders, representing well-responsive diseases to symptomatic treatments. The lesson will focus on CMS clinical features, diagnosis and management and more recent achievements in the CMS field.